Marketing partnerships involve two or more brands that have complementary targets and marketing needs. These entities join forces for an integrated marketing program that stands out from the crowd. You’re a marketer—you thrive on finding solutions. The audience you want to reach is out there. How do you get access? That’s where partnership marketing comes in. 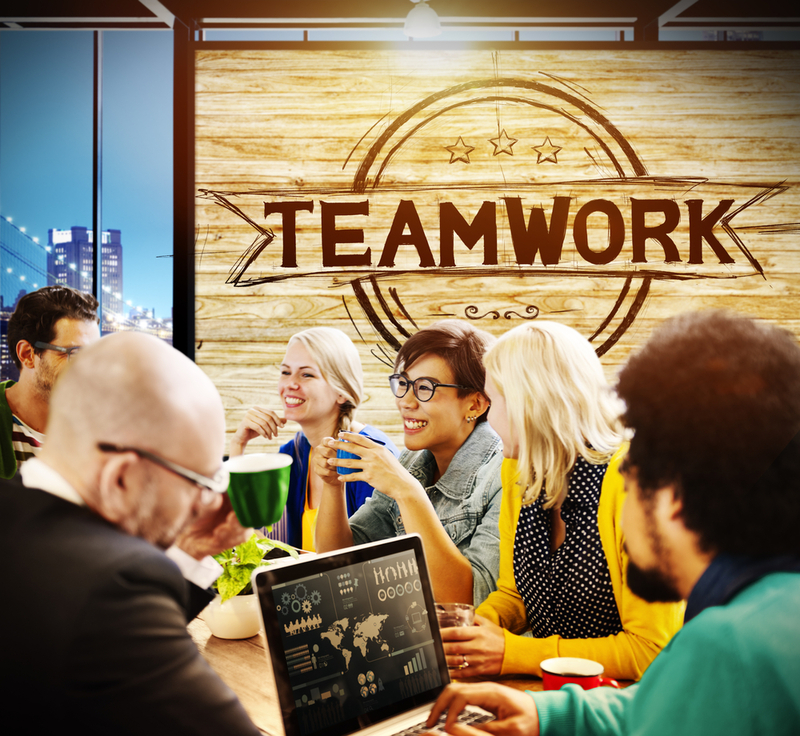 Effective partnership marketing is often the secret weapon a brand has in its marketing mix. “The just completed partnership marketing program implemented on behalf of our client, TV Land, with Sally Beauty, is a perfect example,” adds Mouleart. The program supported the launch of the edgy new comedy-drama series Younger about Liza, a newly divorced 40-year-old who needs to turn back the clock to qualify for a job. Thanks to a miraculous makeover, she “becomes” 26 again so she can rejoin the workforce, leading to all sorts of opportunity for fun and misunderstandings. The video below highlights one of the components of the Sally Beauty-TV Land partnership, a makeover by a Younger stylist. Another notable example of a successful marketing collaboration is the three-way partnership between Fuel, a popular video game, Yamaha ATV, and Oberto Beef Jerky. The partnership created by Vertical Marketing Network joined the three for a promotion surrounding the launch of the Fuel video game. It was an ideal partnership: all three partners shared the same target audience, all three had similar brand images, and all three wanted increased exposure in each other’s channels. 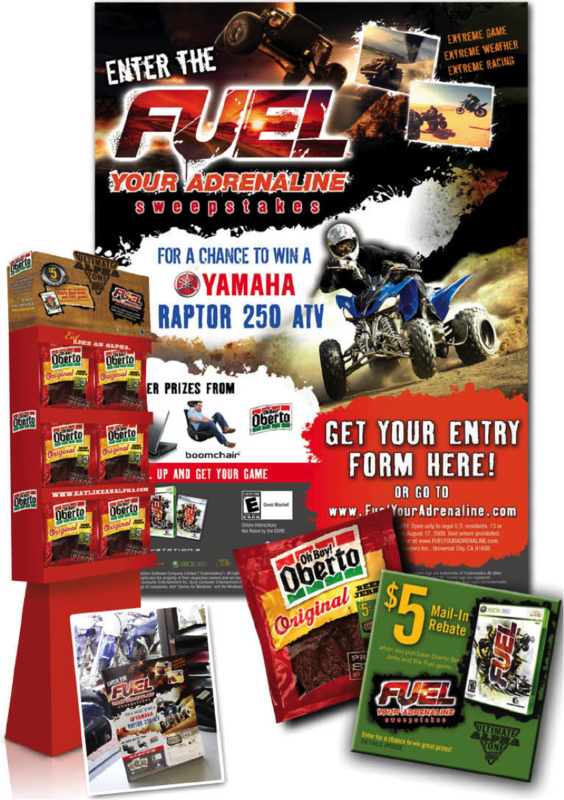 This partnership between Fuel (video game), Yamaha ATV and Oberto Beef Jerky promoted an extreme off-road racing game, the perfect gaming snack in Oberto Beef Jerky and a premier off-road ATV brand in Yamaha. It included the “Fuel Your Adrenaline” sweepstakes to win a Yamaha ATV and other partner prizes. Oberto retail displays supported the promotion with on-package cross-ruff offers and digital promotions. The partnership was also supported through point-of-sale materials inside Yamaha dealerships across the country. Take Home Depot and the Weather Channel. Home Depot conducted research and found that when the weather is bad, consumers buy products that would help protect their homes, gardens, and tools. So what did the Home Depot do? Partner with the Weather Channel! 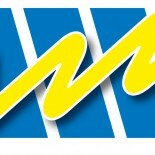 Now, there is a line of Weather Channel products available at Home Deport stores, as well as a series of how-to videos. Also, you’ll want to carefully evaluate the company you’re considering partnering with. There’s an old saying that goes, “Tell me who your friends are and I’ll tell you who you are.” It’s true for partnership marketing. Careful selection of partners can help establish a brand’s reputation within a category. The opposite holds true as well—partnering with the “wrong” entity can cause all kinds of headaches down the road. Remember Kobe Bryant’s endorsement of Nutella as his “favorite spread”? The backlash coming out of his sexual assault charges caused endless headaches for the Nutella brand. Do you have any partnership marketing successes (or failures) that you’d like to share? We’d love to hear all about it in the comments section below. This entry was posted on May 19, 2015 by Kim Haman in Uncategorized.